Did you ever notice that, other than Venus and the Moon, all the other planets are male? Yup…Sun, Mercury, Mars, Jupiter, Saturn, Uranus, Neptune, and even that demoted planet Pluto are all male by name. Before I hear that outcry, “What about Mother Earth?”, let me say that from the perspective of astrology, we are on Earth and the influences we are seeking when we cast a chart for someone are of the other planets and their position at the time of birth of that particular person. Yes, Earth would most likely be classed as female by most astrologers. What we want to know is how the energies of the other planets influence us here on Earth. Having said all that, I want to direct your attention to the asteroid belt that largely lies between the orbits of Mars and Jupiter. It was the early 1800s when the asteroid was discovered. Even more important to this discussion is the fact that the first four asteroids that were sighted were named after four goddess who were equal in rank to Jupiter, Neptune and Pluto. Three of the asteroids where named after three sisters of Jupiter, Neptune and Pluto – Vesta, Ceres, and Juno. The union of Saturn with Rhea had brought forth these six. The fourth goddess, Pallas Athene, was the favorite daughter of Jupiter and he, alone, gave birth to her from his head. It’s interesting to note that at about the time these asteroids were discovered and named, the women’s movement, led by Susan B. Anthony and Elizabeth Cady Stanton, was seeking to increase women’s participation in society. Women no longer wished to be viewed solely as mothers (Moon) and mates (Venus). It would be the 1970s before any real fruit was born of the seeds planted then. Once again, it’s interesting to note that at that time (the 70s), a woman named Eleanor Bach, published the first asteroid ephemeris. Coincidence? I’ll let you decide. So what is it that these four “new” feminine voices speak to us about in our natal charts? Ceres represents energies that are creative, supportive, sustaining physical offspring, physically nurturing and also deals with food. Pallas Athene represents energies that are creating mental offspring, mentally nurturing and deals with visions. Vesta represents energies that are self-renewing and regenerating and deals with the inner union with the self. Juno represents energies that deal with relationship renewal and regeneration and also the outer union with others. I use one other “asteroid” in my chart work – Chiron. Chiron is actually classified as a planetoid. Chiron was discovered on November 1, 1977. It is seen as bridge between Saturn and Uranus – the old and new – where it orbits. The energies of Chiron help us to better understand the outer planets’ energies. 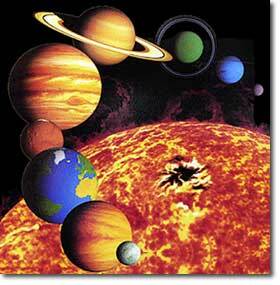 The inner planets are about form while the outer planets are about the formless. Chiron rules divination, magick, channeling and the multi-dimensional perceptual skills. There are over 2200 asteroids and for some astrologers, each represents the energy to some area of one’s life. There are astrologers who choose to use many more that the five that I have chosen to use. For me, I find these combined with the planets, Nodes of the Moon, and Part of Fortune, provide plenty of “food for thought” to the Seeker looking for a better understanding of the energies they chose to enter this lifetime with in order to assist them on their journey. Next time: The astrology chart – a puzzle to be pondered. I begin my planetary reporting this time with a Full Moon in Capricorn occurring on Friday, July 15th at 2:40 a.m. EDT. Moon in Capricorn, by itself, is all about the making of money and being a workhorse. People who are born with the Moon in Capricorn usually pay little attention to sentiment because the earthy Capricorn stifles the sensitivity that the Moon normally has. These people often focus on work and the money and position it can bring and this is compensation for the lack of personal relationships in their lives. For the rest of us, the best that can be said about Moon in Capricorn is that it does give the ability to look at a problem and resolve it quickly and correctly. Emotionally, however, there may be a certain coldness during this transit and a need for solitude with a desire for more self-sufficiency. Being a Full Moon, all of this is intensified and how much or little you feel the effects will depend on where your Moon and other planets are in relationship to the occurrence of this one happening in Capricorn. Of course, this also goes for those you hold near and dear so if they act a little cold or stand-offish, just remember, it’s only the Full Moon in Capricorn. It’s time for the Sun to move into Leo for the year. This time it’s on Saturday, July 23rd at 0:12 a.m. EDT. Over the years, I’ve talked about Leo people being natural leaders, liking the spotlight, and sometimes even having bigger than all outdoors egos. Leo really is royalty and, as long as they don’t let those egos get out of control, they make excellent educators, politicians and psychiatrists. All of which, have something to teach us and can be a great deal of help in smoothing out the wrinkles in our lives. Leo energies are also about sympathy and forgiveness. Leo also can’t imagine life without love because Leo rules the heart. Leos don’t lean on others but are about helping others instead. They are very loyal friends, but can be just as fierce of an enemy. Whether you are a Leo or not, this transit of the Sun offers the energies by which you can be creative, courageously take a step forward into the spotlight of your life, lend a helping hand to a friend, forgive and forget as you patch up a friendship, or just plain believe in your own ability to succeed! The regal, kindly lion is telling you to follow him and he’ll show you the path to love, joy and success!!! 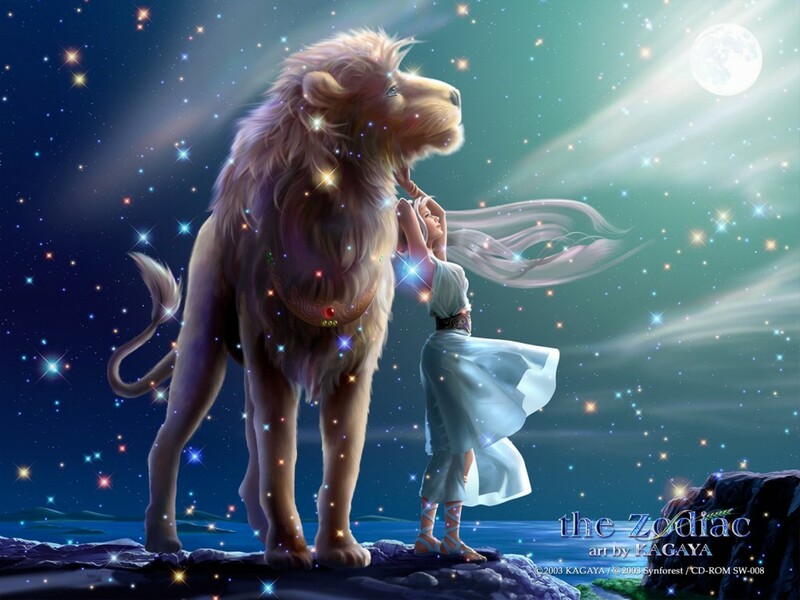 Speaking of Leo, Venus will be moving in to Leo on Thursday, July 28th, at 10:59 a.m. EDT. The fire from Leo heats up the love and passion of Venus. 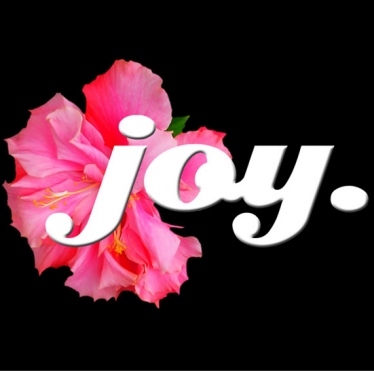 The end result is the possibility of attracting the warmest of feelings to yourself now. Being congenial and kind during this transit of Venus will draw people to you. This is definitely a time when the energies of being warm-hearted, sunny, affectionate and outgoing abound. Even if your own Venus isn’t in Leo, that doesn’t mean you can’t tap into these wonderful energies and use them for your own joy and happiness or sharing them with others. This is truly a time that can make you feel warm inside and put a smile on your face! The Delta Aquarids meteor shower begins on Thursday, July 28th and is best viewed in the early hours of the morning. This particular meteor shower favors the southern latitudes but can be seen in the northern latitudes. About 15-20 meteors per hour can be seen and seem to radiate from the southern part of the sky. Another fantastic light show presented to you by The Universe! So here we are at the end of another issue. I welcome feedback, both pro and con, and questions. Until we meet again, may you bask in the warmth of the Summer Sun and find many things for which to be grateful!